DIY is my jam! Anytime I can craft up my own décor, I jump on the opportunity. DIY is fairly inexpensive and you always end up with an original and uniquely-your-own piece. Lastly, its something that husband and I really enjoy doing together. Really, I just love getting my creative juices flowing. For Halloween this year we have DIYed a lot of our holiday decorations. This being this first project and the card stock bats being the second. Tomorrow I will be sharing the tutorial for making the bats along with the cutout for you to print and make your own! Happy DIYing!! 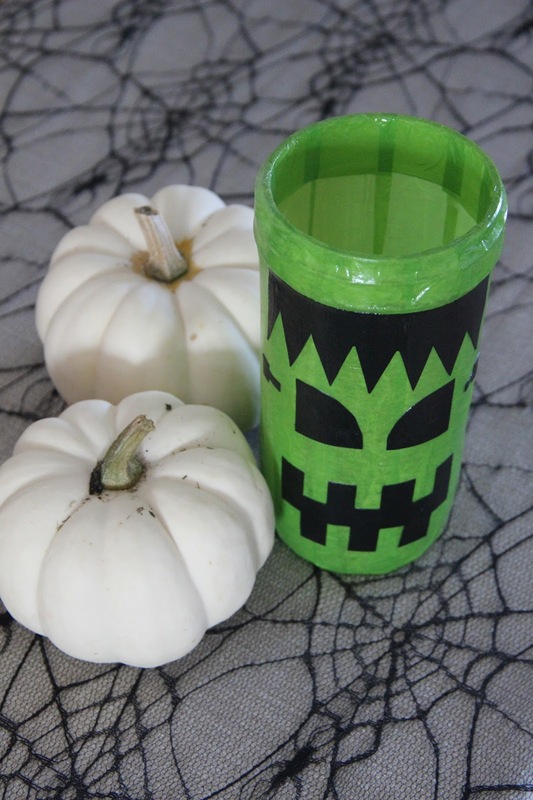 This project doesn't call for a ton of supplies, and you might even have some of the stuff stored away at home already. 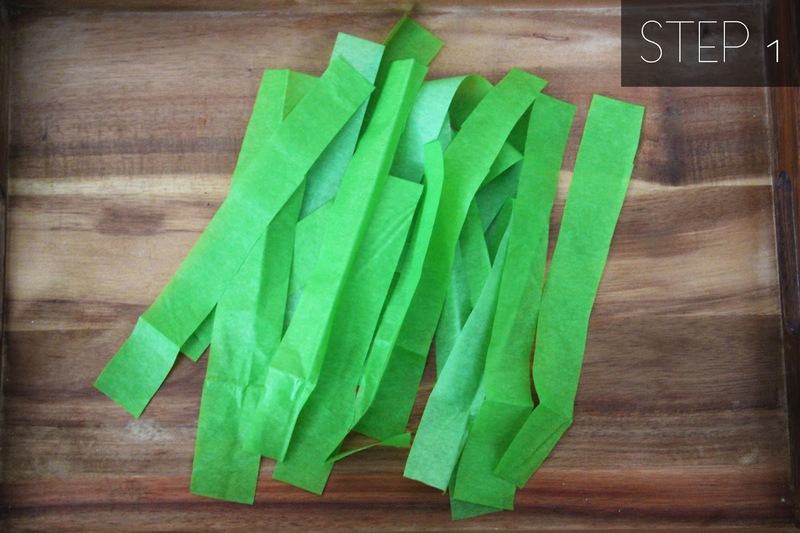 Cut the tissue paper into one inch strips. Using the sponge brush, spread modge podge in sections around the mason jar, including an inch inside the jar & the bottom of the outside of the jar (see photo below). 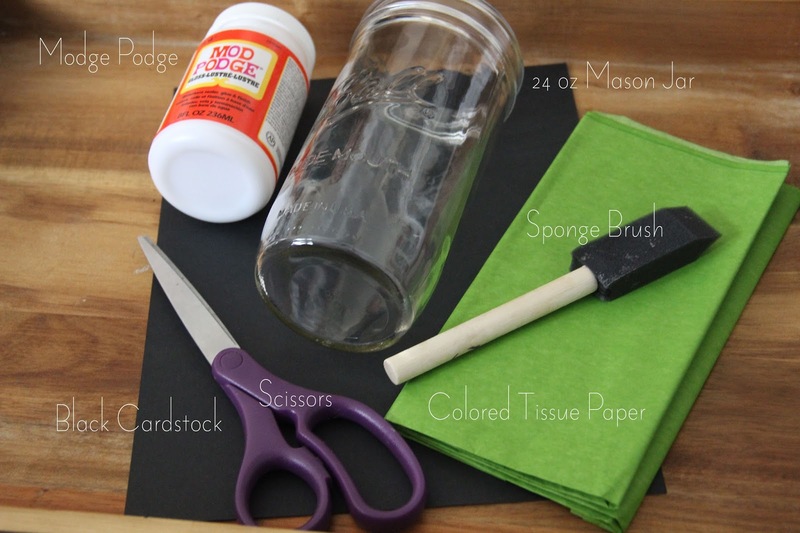 Place tissue paper strips where you’ve put modge podge, pressing it smoothly to the jar, and wrapping the excess over the top of the jar and under the bottom. 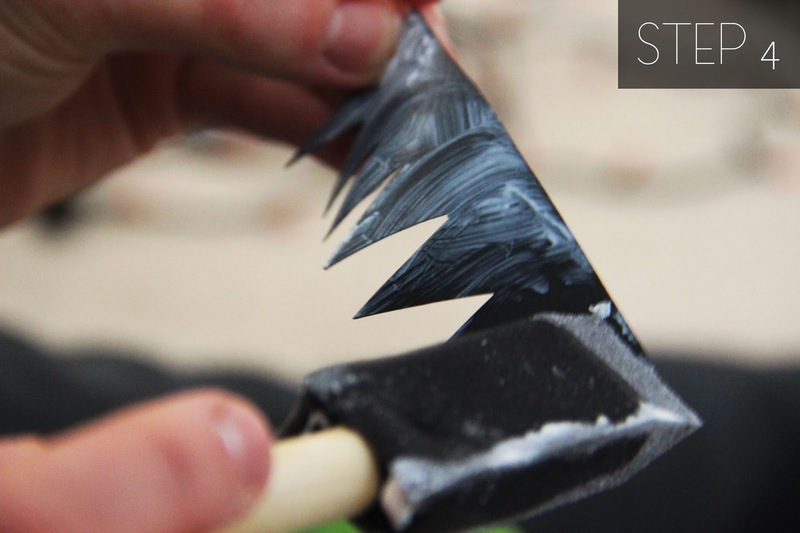 Once you apply a strip of tissue paper, spread more modge podge over it. 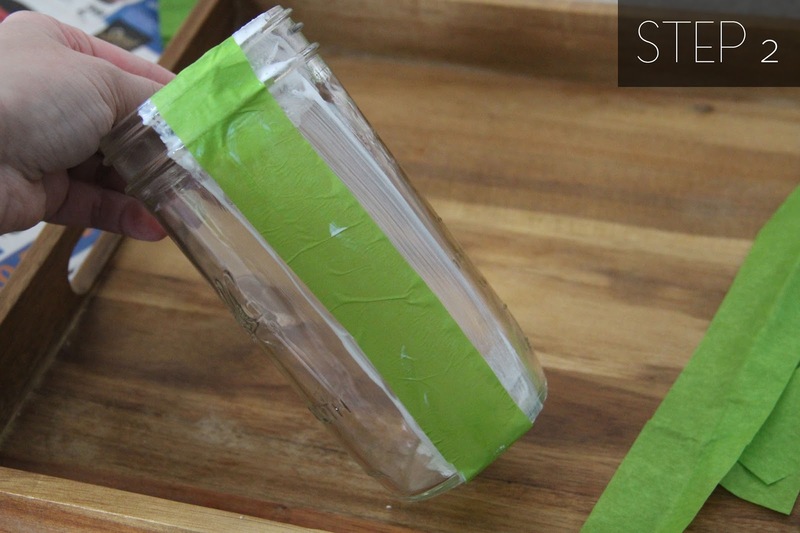 Wrap the entire jar in tissue paper strips. After you have cut out the pieces for your character, spread modge podge on one side of it. Place the modge podge side down on the desired spot on the jar. Press firmly then spread more modge over go over each piece of card stock (see photo below). 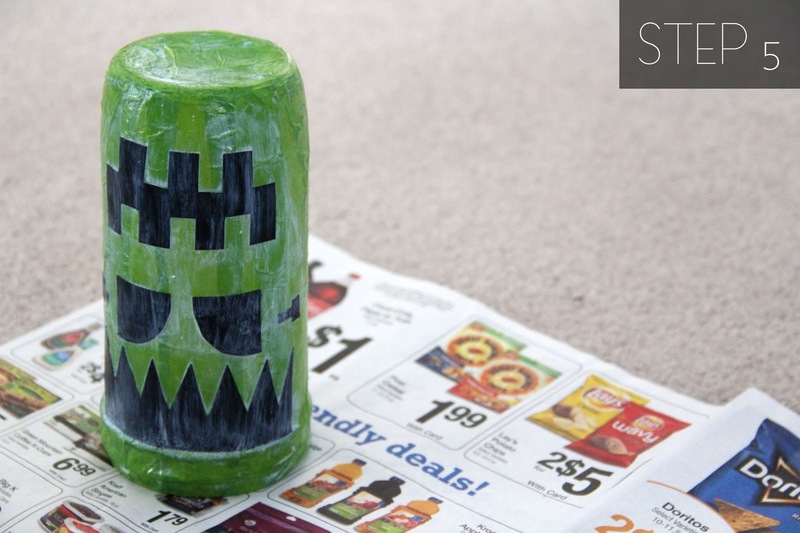 Turn the jar upside down on newspaper to dry. It will take at least an hour to fully dry, maybe longer depending upon how much modge podge was used. 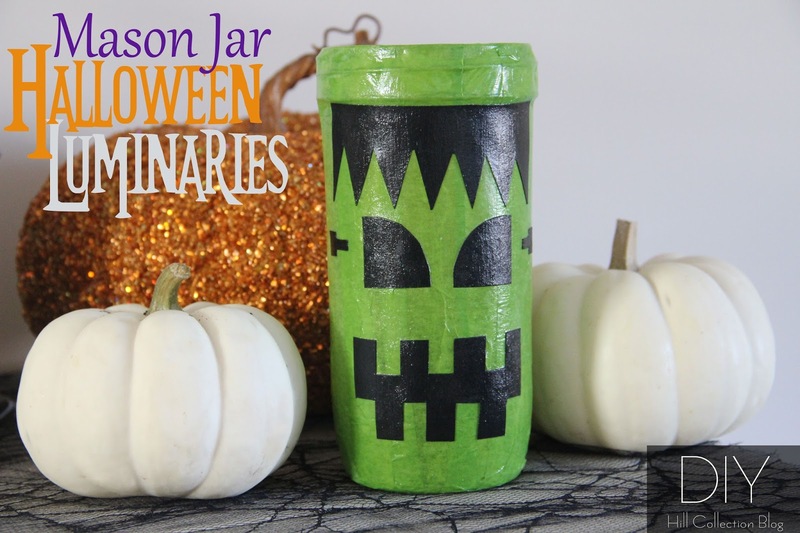 Your mason jar Halloween luminary will look like this once its completely dried (see above). Your next step will be to make more luminaries, using different tissue paper colors and black card stock faces. You can make as many as you like, all the same or all different. Use Christmas lights to get the luminary effect, placing them in the jars and stringing the lights from jar to jar. Arrange them on your tabletop, in a window seal, or wherever you please. And a little bit of spider web will really spook this DIY decoration up! 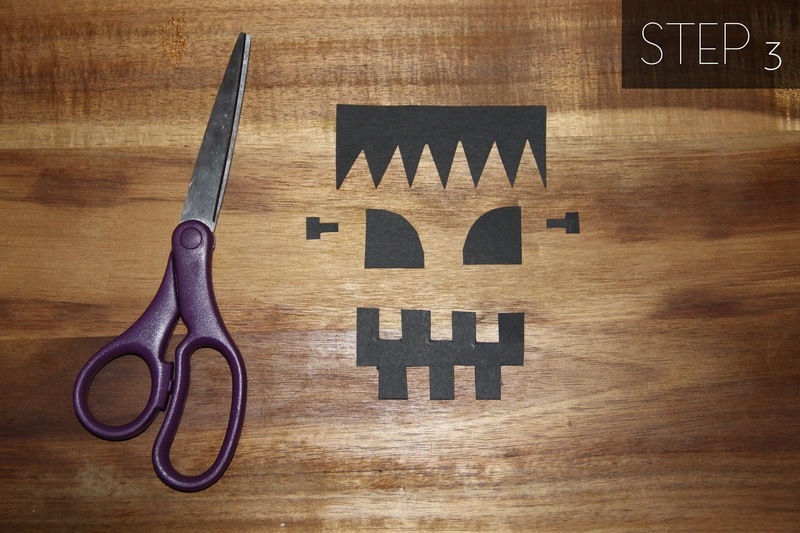 To see more of my Halloween décor, check HERE. Also head over to Flour Darling for some delicious Pumpkin Spice Bread!